Hospital beds are great! You can raise the bed higher to make it easier for you to do your skills…less bending equals less stress on your back! For the exam, you are more than welcome to raise a bed to a comfortable working height if you wish. BUT… IT IS AN AUTOMATIC FAIL IF YOU DO NOT LOWER THE BED AT THE END OF THE SKILL! Why? Well, when you go to bed, your bed stays right where it always is. Home beds don’t move up and down. That means when you wake up, the floor will be right where you left it. Very predictable. But if someone came along during the night and moved that floor about a foot lower than you expect it to be, you can imagine the consequences. 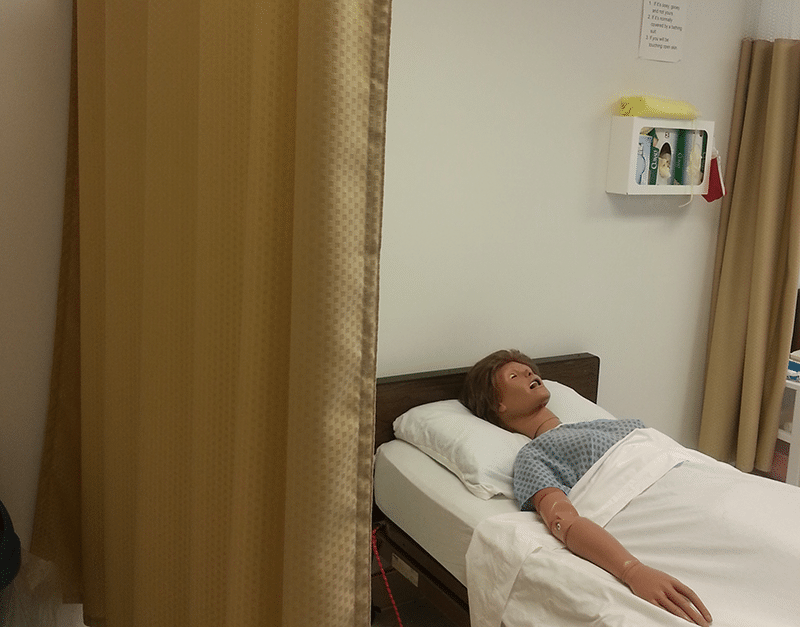 Patients in a hospital bed don’t expect the floor to move either. When they try to get out of bed, they may fall and become injured if the floor is not where they left it. Because they are further away from the floor, they fall farther and the injuries much more serious. So, if you raise a bed to a comfortable working height, you MUST lower it back to the lowest position at the end of the skill for safety. However, you don’t HAVE to raise the bed in the first place for the exam in most states! Since the majority of our patients in healthcare will not have adjustable beds (think: home care, assisted living, low-income nursing homes, convalescent centers, etc. 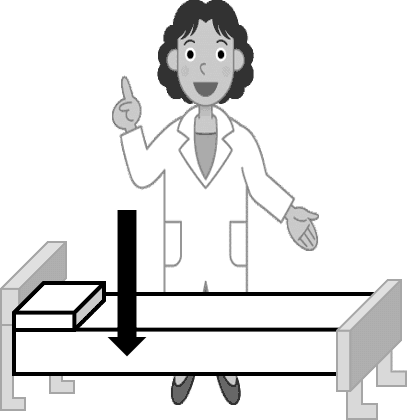 ), it isn’t a requirement of the test to raise the bed, since they are not present in every setting. 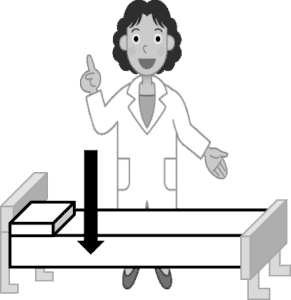 Since it is NOT required, and carries a risk of failing the skill if you forget to lower it, most testing candidates opt to keep the bed in the low position for the test. If you are in a state where this is not a testable point, it does not matter either way! Previous PostTesting Tip: Dentures in a cup?